Roses are pruned into shrubs and trees or grown in containers—any way to savor their beauty and heavenly scent. While some enthusiasts love a manicured rose garden, others favor the freedom and vigorous growth habit and appearance of climbing roses. Climbers can be trained to climb up and over gazebos, trellises, and arbors, softening the appearance of an otherwise plain wood or metal structure. Privacy at home means more than ever before. In stressful times, home is a refuge, and privacy provides a chance to relax alone or with those we care about. Seclusion via a privacy fence or screen gives you a safe retreat from the world outside. A vining or climbing rose also serves as a focal point for your yard and is something you will enjoy looking at when you escape into your backyard. There are so many different varieties of climbing roses. Take a look at some of the favored varieties. Altissimo clusters of small buds open to stunning single flowers that are velvety bright red with central clusters of showy yellow stamens. Leaves are glossy and contribute to the rose's brilliance. 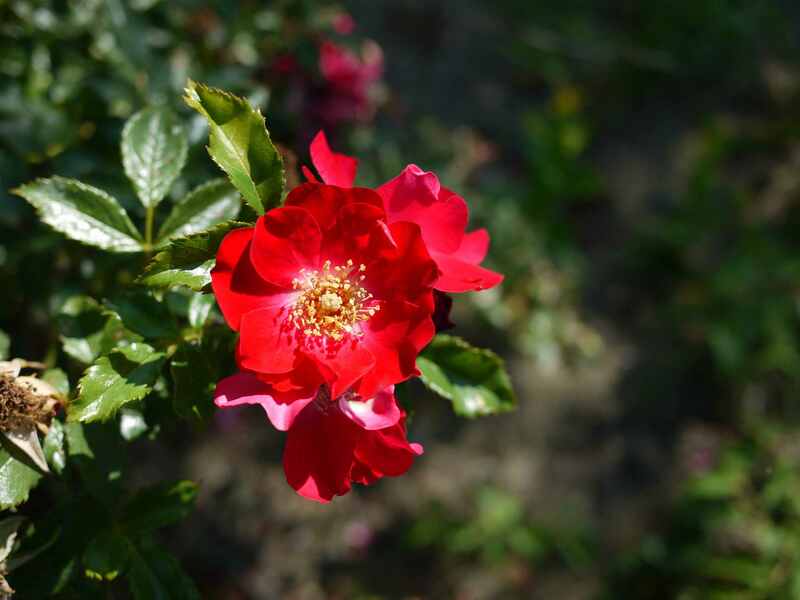 Train Altissimo as a small climbing rose or pillar climber. It can also be shaped into a tall shrub. American Beauty is a deep, cupped dark pink rose that is hardy and tolerates shade. 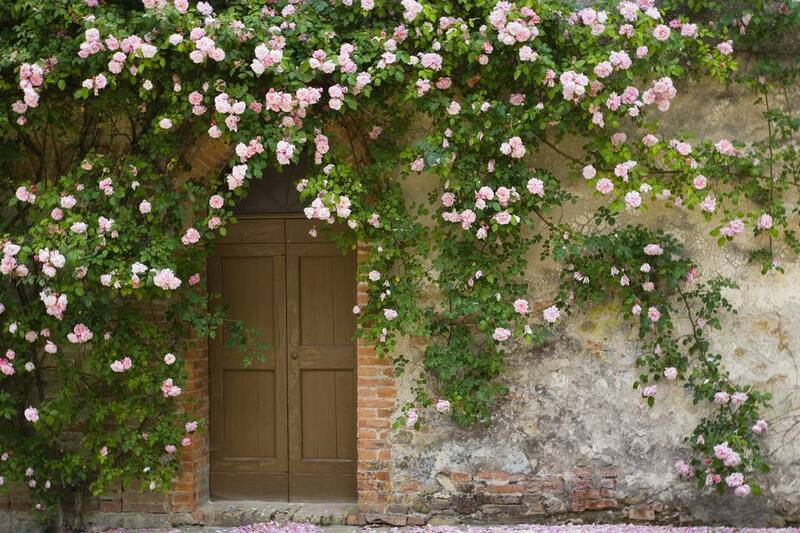 These large roses are ideal for training on walls or trellises. Cécile Brunner is a rampant climbing rose that can reach 20 feet. From beautifully shaped buds come petite clusters of blush-pink flowers. Dublin Bay is a sun lover that produces medium to large-sized rich, velvety red flowers that are fully double and have dark, glossy green leaves. Fourth of July is a large-flowered climber that produces profuse clusters of large, semi-double blooms that are red and white striped. It has a sweet scent and is a repeat bloomer. Many groups and rosarians hail Iceberg as the finest climbing rose, without question. Iceberg grows vigorously up to about 15 feet with profuse flowering and repeat extra-large blooms. It offers full, ruffled blossoms and is a rampant, far-reaching climber. Believed to be the most widely grown rose in the world, Peace roses have canes that can reach 20 feet or more. This climber works really well on a fence or large wall. It has full, ruffled blossoms and is a rampant, far-reaching climber with extra-large flowers. Royal Sunset features dark, bronzy-green, glossy leaves on a stiff cane that climbs and spreads to 10 feet. It is a repeated bloomer and makes gorgeous bouquets with shapely, large blooms. Souvenir de la Malmaison is an extremely vigorous climbing rose. Canes can grow to 15 feet or more and will bear a healthy crop of full-petaled roses in the spring. Westerland is an extremely fragrant, winter-hardy rose that makes an excellent shrub. Its blossoms are large, semi-double to double bloom in size.